A new house for me. 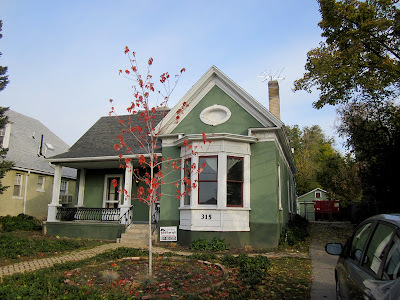 The city paperwork says the house was built in 1898, but strong oral history from the previous owner (a historian with the predominant local church) make a compelling case for 1857 as the year of construction. It's a cute house with good bones in one of Salt Lake City's best neighborhoods--known as the Avenues. I am in the lower Avenues on an excellent block that has surprisingly little traffic given the proximity to downtown. The place needs a major facelift! Jake over Salt Lake City.